Lock in a great price for Casa Margarita - rated 9.1 by recent guests. On the pedestrianised street so a very pleasant base. Large room and bathroom. Quiet and clean room. good steps. free morning coffee. early check in at 7 am. very good location. just near zocalo. The whole building is beautiful, the garden is a little paradise and the location of the hotel was excellent. The room was very clean, comfortable and well decorated. Everything that was needed! Plus there is a tour office just in the front where you can book trips to great places. The location was great near the main locations, but in a quite street. The staff helped us organizing and arrange everything for the day trip to Palenque. Location stright on the main walking street where was lots of eating places and shopping opportunitys. To main square is couple of minutes walking. Private parking. Friendly staff. Right over the street was excellent local restaurant. One of our top picks in San Cristóbal de Las Casas.Casa Margarita is 200 yards from the Zócalo, San Cristobal De Las Casas’ Main Square. Set around a tranquil arched courtyard, this colonial-style hotel offers free WiFi in common areas and free parking at a nearby location. 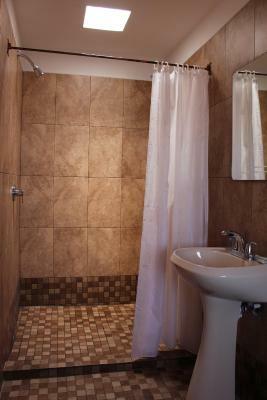 Featuring tiled floors and rustic décor, each room comes with cable TV, a safe and a work desk. The private bathroom has a shower and amenities. An iron and hairdryer can be requested at reception. Guests at The Margarita Hotel can also with a drink in the hotel bar, or in the courtyard next to the old well. There is a 24-hour reception and an on-site shop in the hotel. San Cristobal Church is a 10-minute walk away. You can drive to the border with Guatamala in 2 hours. This is our guests' favourite part of San Cristóbal de Las Casas, according to independent reviews. This property also has one of the best-rated locations in San Cristóbal de Las Casas! Guests are happier about it compared to other properties in the area. 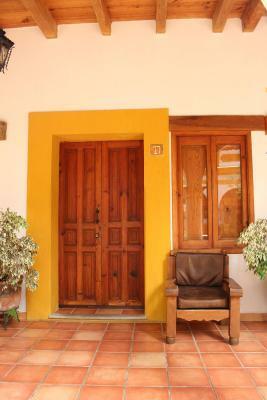 This property is also rated for the best value in San Cristóbal de Las Casas! Guests are getting more for their money when compared to other properties in this city. Casa Margarita has been welcoming Booking.com guests since 9 Aug 2011. When would you like to stay at Casa Margarita? 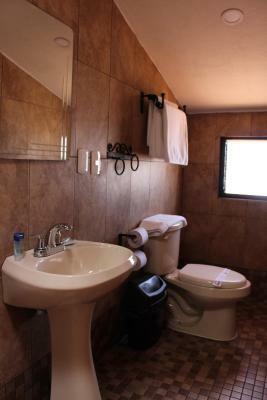 This room features cable TV, safe, free WiFi and a private bathroom with free toiletries. House rules Casa Margarita takes special requests - add in the next step! Casa Margarita accepts these cards and reserves the right to temporarily hold an amount prior to arrival. My room was very near ti the front desk and sime people talk so loud when i was asleep . The rooms was quite damp, perhaps could be mitigated by opening up fully between guests. We didn’t experience any hot water. The onward shuttle was completely mis sold to us - the timings advised were completely wrong. This is a wonderful place, specially considering the low price. Everthing was just great. The front desk helped with some special requests of mine. Very accommodating! There is free coffee in the morning, which you can take in the patio. Location, right on pedestrian mall but very quiet! room is too wet. i don't know why. my cloth is also wet because of humidity. Rooms are ok, smelled a bit funny. Pretty noisy.